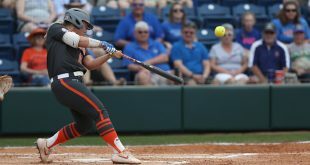 Florida’s softball team (25-6; 2-4) is in the midst of non-conference home stand. Following their second straight SEC series loss to LSU last weekend, these four games are about rightening the ship. 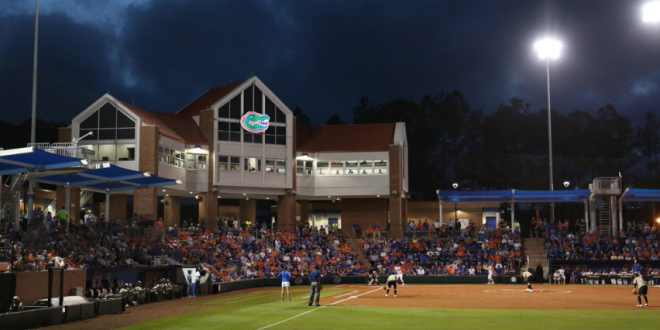 The Gators began that process on Wednesday with a 2-0 home win over Minnesota at Katie Seashole Pressly Stadium. The Gators’ attention now turns to the Mercer Bears (13-18). The two teams will start their mini series on Saturday at 4 p.m. ET. The series finale will be played on Sunday at 1 p.m. as Florida then prepares for the final game of this non-conference home stand against Bethune-Cookman on Wednesday. Wednesday’s win was a welcome result for head coach Tim Walton, but the offensive performance less so. The Gators’ offense mustered only five hits against Minnesota’s sophomore starter Amber Fiser (11-6). 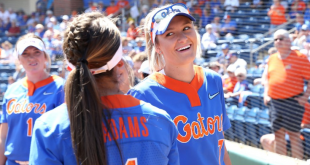 Florida’s only runs came on a two-run home run by Kendyl Lindaman in the first inning of the game. The sophomore Fiser then held the Gators’ batting order to just three hits the remainder of the contest. Walton’s offense has now scored only four runs their last three games. Florida is still scoring an average of 4.97 runs per game this season. Although, the Gators have been scoring at a much lower clip during their last 10 games (2.3 runs). There’s no reason for Walton to panic over his team’s rather extended slump. Yet, the veteran head coach continues to tinker with his lineup in the hopes of jump starting his offense. Outfielder Jaimie Hoover has been taking reps at third base this week. She’s expected to make her debut at third base sometimes this weekend against the Bears. Amanda Lorenz (.420, 8 HR, 24 RBI) and Lindaman (.363, 6 HR, 25 RBI) continue to be Florida’s most dominant forces in their lineup. 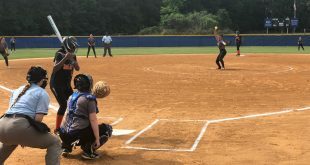 The bottom of the order, help in part by the subtle emergence of outfielder Jade Caraway, has managed to provide RBI opportunities for the top of the lineup in recent weeks. Walton will likely continue to shuffle around his batting order until Florida’s offense begins to click again. At one point this season, sophomore Natalie Lugo was the Gators’ ERA leader. Her last three starts she’s been roughed up quite a bit. Lugo has allowed nine earned runs in just eight innings of work in her last three starts (0-3). Granted, she faced three of the top-10 teams in the country. The stretch has seen her ERA rise from 0.77 to 1.83. She has a 5:4 strikeout-to-walk ratio in those games, and she’s been tagged for 13 hits in the process. This could be an ideal weekend for Lugo to righten herself before Florida heads back to SEC play. She’ll likely get the starting nod for the Gators in Game 1 against the Bears. Kelly Barnhill has started each of the last two games for Florida. However, despite their losing record Mercer’s bats are capable of filling up a box score. Stephanie Defeo’s team has scored an average of just over 5.2 runs per game this season. The Bears sport a balanced lineup as four of their hitters have collected at least 30 hits this season. They’ve managed to score an average of 7.2 runs in their last five games. Once again, Florida looks for their second consecutive victory at 4 p.m.